These terms and conditions outline the rules and regulations for the use of ashframework.org’sashframework.org, located at ashframework.org. By accessing this ashframework.orgwe assume you accept these terms and conditions. Do not continue to use Ash Framework if you do not agree to take all of the terms and conditions stated on this page. The following terminology applies to these Terms and Conditions, Privacy Statement and Disclaimer Notice and all Agreements: “Client”, “You” and “Your” refers to you, the person log on this ashframework.org and compliant to the Company’s terms and conditions. “The Company”, “Ourselves”, “We”, “Our” and “Us”, refers to our Company. “Party”, “Parties”, or “Us”, refers to both the Client and ourselves. All terms refer to the offer, acceptance and consideration of payment necessary to undertake the process of our assistance to the Client in the most appropriate manner for the express purpose of meeting the Client’s needs in respect of provision of the Company’s stated services, in accordance with and subject to, prevailing law of USA. Any use of the above terminology or other words in the singular, plural, capitalization and/or he/she or they, are taken as interchangeable and therefore as referring to same. Unless otherwise stated, ashframework.org and/or its licensors own the intellectual property rights for all material on Ash Framework. All intellectual property rights are reserved. You may access this from Ash Framework for your own personal use subjected to restrictions set in these terms and conditions. Parts of this ashframework.org offer an opportunity for users to post and exchange opinions and information in certain areas of the ashframework.org. Ashframework.org does not filter, edit, publish or review Comments prior to their presence on the ashframework.org. Comments do not reflect the views and opinions of ashframework.org,its agents and/or affiliates. Comments reflect the views and opinions of the person who post their views and opinions. To the extent permitted by applicable laws, ashframework.org shall not be liable for the Comments or for any liability, damages or expenses caused and/or suffered as a result of any use of and/or posting of and/or appearance of the Comments on this ashframework.org. Ashframework.org reserves the right to monitor all Comments and to remove any Comments which can be considered inappropriate, offensive or causes breach of these Terms and Conditions. You hereby grant ashframework.org a non-exclusive license to use, reproduce, edit and authorize others to use, reproduce and edit any of your Comments in any and all forms, formats or media. These organizations may link to our home page, to publications or to other ashframework.orginformation so long as the link: (a) is not in any way deceptive; (b) does not falsely imply sponsorship, endorsement or approval of the linking party and its products and/or services; and (c) fits within the context of the linking party’s site. We will approve link requests from these organizations if we decide that: (a) the link would not make us look unfavorably to ourselves or to our accredited businesses; (b) the organization does not have any negative records with us; (c) the benefit to us from the visibility of the hyperlink compensates the absence of ashframework.org; and (d) the link is in the context of general resource information. If you are one of the organizations listed in paragraph 2 above and are interested in linking to our ashframework.org, you must inform us by sending an e-mail to ashframework.org. Please include your name, your organization name, contact information as well as the URL of your site, a list of any URLs from which you intend to link to our ashframework.org, and a list of the URLs on our site to which you would like to link. Wait 2-3 weeks for a response. 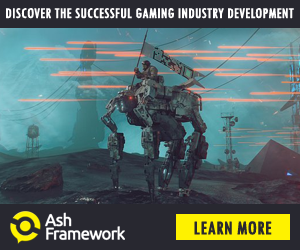 By use of any other description of our ashframework.org being linked to that makes sense within the context and format of content on the linking party’s site. No use of ashframework.org’s logo or other artwork will be allowed for linking absent a trademark license agreement. Without prior approval and written permission, you may not create frames around our Webpages that alter in any way the visual presentation or appearance of our ashframework.org. We shall not be hold responsible for any content that appears on your ashframework.org. You agree to protect and defend us against all claims that is rising on your ashframework.org. No link(s) should appear on any ashframework.org that may be interpreted as libelous, obscene or criminal, or which infringes, otherwise violates, or advocates the infringement or other violation of, any third party rights. We reserve the right to request that you remove all links or any particular link to our ashframework.org. You approve to immediately remove all links to our ashframework.org upon request. We also reserve the right to amen these terms and conditions and it’s linking policy at any time. By continuously linking to our ashframework.org, you agree to be bound to and follow these linking terms and conditions. If you find any link on our ashframework.org that is offensive for any reason, you are free to contact and inform us any moment. We will consider requests to remove links but we are not obligated to or so or to respond to you directly. We do not ensure that the information on this ashframework.org is correct, we do not warrant its completeness or accuracy; nor do we promise to ensure that the ashframework.org remains available or that the material on the ashframework.org is kept up to date. 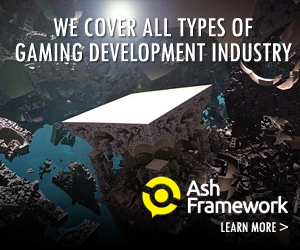 As long as the ashframework.org and the information and services on the ashframework.org are provided free of charge, we will not be liable for any loss or damage of any nature.